A tailored navy blue dress designed to elongate petite women with a modest V-neck and three quarter length sleeves. Featuring a visible gold zip to the back and practical gold zips at sleeves, this classic dress in miracle non-crease fabric is fully lined with stretch lining. The perfect dress to pack for travel as you won't have any creases to iron. 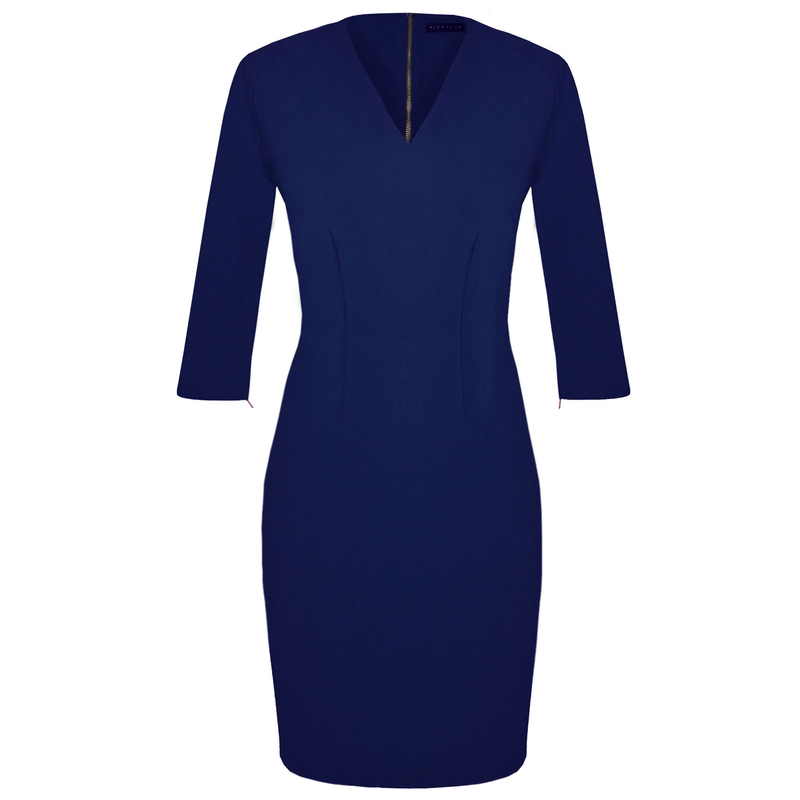 A navy dress is so versatile, you can wear it with burgundy heels for a bit of flair as the boss at the office or keep it simple with black/brown heels.